Originally Published in The Daily Caller by Adam Brandon on 11/21/18. The literal “first step” for congressional Republicans to redeem themselves would be for the Senate to pass a landmark piece of criminal justice reform legislation. The First Step Act is a prison reform bill with modest sentencing reforms included that will reduce crime rates and likely save taxpayer dollars, as these policies have proven to do time and time again in over thirty states that have enacted reforms. The bill enjoys widespread bipartisan support, including the support of President Trump. The First Step Act will help reduce recidivism (a.k.a. the likelihood of offenders to reoffend following release) which leads to safer streets and a smaller prison population. It presents an excellent opportunity for Republicans to show they are willing and able to work in a bipartisan fashion to better communities across the country in an otherwise polarized political climate. 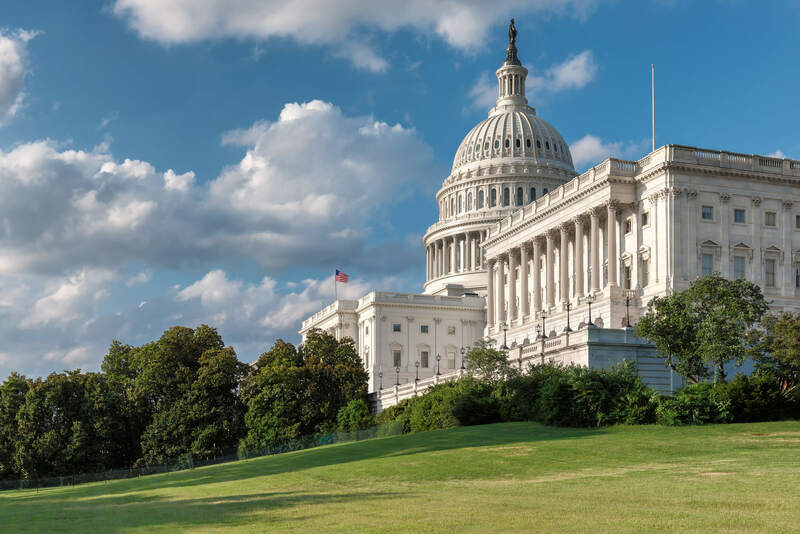 The First Step Act is enthusiastically supported by law enforcement, which demonstrates that this is no ‘jailbreak’ bill as some fear-mongering opponents have suggested. It is common-sense criminal justice reform that benefits all Americans. Senate Majority Leader Mitch McConnell needs to make good on his promise from earlier this fall and bring the bill to the floor for a vote. Republicans should pass a no-nonsense Farm Bill that removes these unnecessary subsidies for wealthy elites. If Republicans stick to their principles, they would remind Senate Democrats that government has no business meddling in the economy. Many of the recipients of farm bill subsidies would do fine without them. The top one percent of farms, in terms of gross income, receive twenty percent of total subsidies. A whopping 94 percent of subsidies go to six crops that only account for 28 percent of the nation’s production. These subsidies do nothing but waste American taxpayer dollars. What makes the Farm Bill even more ridiculous is that a bulk of the bill has nothing to do with farms. The Supplemental Nutrition Assistance Program (SNAP), otherwise known as food stamps, accounts for a vast majority of appropriations within the package. Democrats use the bill as a shameless political vessel for this welfare program that does not even require recipients to seek employment. If Republicans want further welfare reform, adding work requirements for food stamp recipients would be an excellent start. If there is one thing Senate Republicans have been consistent with this year, it has been confirming dozens of conservative judicial nominees to the bench. They can’t stop now. The net pickup of two Senate seats means Republicans should have no problem swiftly confirming more conservative judges during the lame duck session. The Kavanaugh confirmation hearings galvanised the GOP base, and Republicans in Congress must capitalize on that momentum. President Trump’s nomination of Neomi Rao to fill Justice Kavanaugh’s seat on the D.C. District Court of Appeals is a no-brainer priority. By confirming constitutionalist judicial nominees, Republicans can redefine the courts philosophically for a generation. The age of an activist federal judicial branch would be over. Judges would go back to doing what they should have been doing all along: protecting the constitutional rights of all Americans. If congressional Republicans can pass the First Step Act, continue to confirm conservative judges, and pass a no-nonsense Farm Bill, they can at least salvage something from their poor midterm performance. For Republicans to regain the trust of the American people for 2020 and beyond, it will take bold legislative actions, not just empty words. Adam Brandon is the president of FreedomWorks, a grassroots service center to millions of activists who support smaller government, lower taxes and free markets.